The Arrowverse began five seasons ago when Oliver Queen (Stephen Amell) returned to his home after being lost at sea. Since then, Arrow has been joined by The Flash, Legends of Tomorrow, and Supergirl for plenty of team-ups, universe hopping, and time travel adventures. When a TV show’s universe incorporates time travel and multiple worlds into its storylines, things can get complicated. Heroes can have evil doppëlgangers and villains can turn to the other side quicker than a flash. In the Arrowverse, all of those things are true. When things get complicated though, fans are quick to create plenty of theories about where the shows are going. The most dedicated of fans develop theories to explain away plot holes, to draw unexpected connections between characters, and to make Easter eggs a little more meaningful. For the Arrowverse, fans have had plenty of time to hone their theory-making skills so that even some of the most far fetched seem plausible. Sme of the most interesting fan theories making the internet rounds even cross networks to other shows based on DC Comics properties. Fans have plenty ideas about just what Barry Allen (Grant Gustin) will be up to in the future, and just how some characters might actually get back to their comic book roots after all. Take a wild ride with 15 Crazy Arrowverse Fan Theories (That Actually Make Sense). 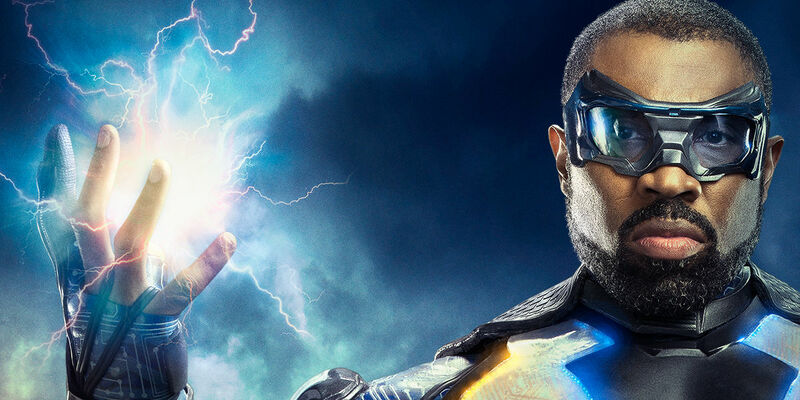 Showrunners were very upfront when the CW added another DC comic book character to their programming slate: Black Lightning wouldn’t be part of the Arrowverse, at least not just yet. Fans took that to mean that Black Lightning occupied an Earth in the multiverse that has already been explored on shows like The Flash and Legends of Tomorrow. Some fans think that Black Lightning might actually occupy an Earth we’ve already seen, though. When Anissa first begins reading up on superheroes on Black Lightning, a reference is made to Supergirl. The question is: does Supergirl have a comic book series on this Earth, like The Outsiders that Anissa read or does Supergirl exist as a hero in that world’s National City? Fans like to think since Black Lightning exists in a world where superheroes have existed for at least 20 years, that Supergirl is set in the same world. Arrow, Legends of Tomorrow, and The Flash have referenced Batman’s Gotham and Wonder Woman’s Themyscira at this point. Superman got a chance to cameo on Supergirl, but the Arrowverse isn’t allowed to use the traditional Justice League in storylines thanks to the Warner Brothers movie franchise. That has led fans to think that a new version of the Justice League might be on the way. 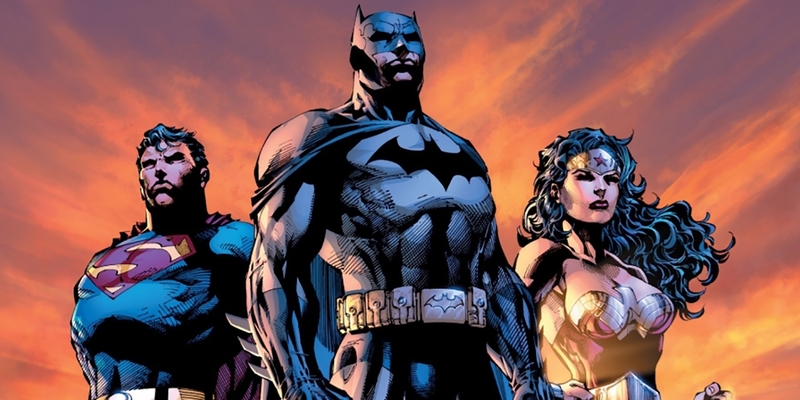 Though fans recognize Batman, Wonder Woman, and Superman as the primary members of the Justice League team, there have been rotating members over its decades in existence. Characters like Green Arrow, Black Canary, and Martian Manhunter have all been members in the comics. 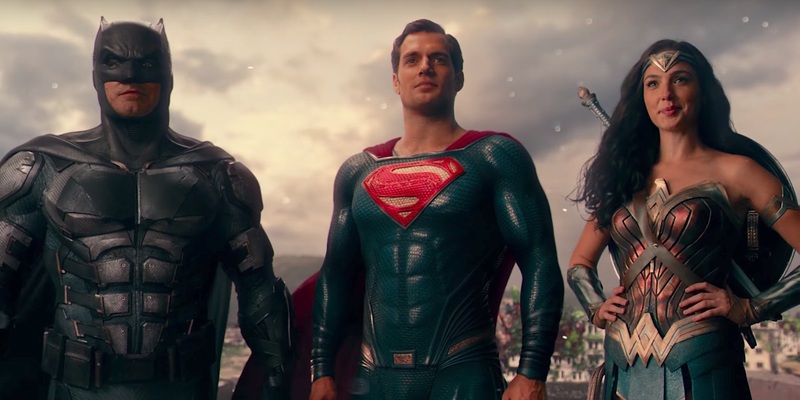 Fans believe that so many team-up episodes will eventually lead to the CW series creating their own version of the Justice League, just like Smallville did years ago. One reason some audience members speculated will be provided for no existing Justice League is that they’ve already been defeated in the Arrowverse. This idea comes from the fact that though Gotham and Themyscira have been hinted at, neither of their major heroes have appeared. Superman only appeared on Supergirl's Earth-38, not Earth-1. There is also Rip Hunter’s cryptic tease when he formed the Legends of Tomorrow. Rip claimed to pull the team from time because they weren’t important, even though he was (arguably) taking some of the greatest minds of the Earth in Victor Stein and Ray Palmer. He also discussed seeing “knights fall,” which many thought may have alluded to the Dark Knight himself, Batman. Perhaps Rip actually formed a team of Legends before the one the audience sees. The A-Team of Superman, Batman, and Wonder Woman couldn’t get the job done, so he called in the B-Team. Comic book writer Gail Simone (who also penned iconic Birds of Prey runs and takes over a Domino solo series for Marvel this year) made the Secret Six what most fans think of today. The group, usually comprised of villains who run covert operations, was made of six people. They’re led by a mysterious person known as Mockingbird. With Arrow no longer allowed to use Suicide Squad thanks to the team becoming the subject of their own movie, the show moved away from villains of the week to focus on season long arcs with a single supervillain. 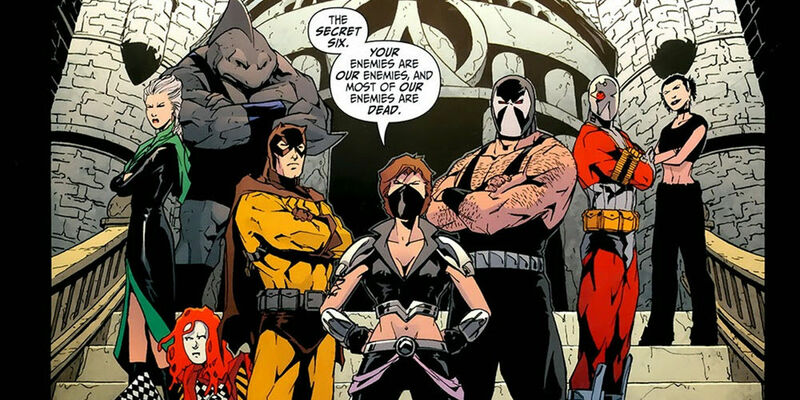 Fans theorize that the Secret Six will give the show the best of both worlds. Fans argue that Arrow will eventually return to its villain of the week format before revealing those villains as members of a single unit, teasing out the reveal of Mockingbird over a longer arc. With Gotham airing on FOX and the Arrowverse in place at the CW, crossover between it and the CW shows seem unlikely. That only makes fans think harder. Gotham occurs in a world where film noir blends with modern technology to create a very specific aesthetic. 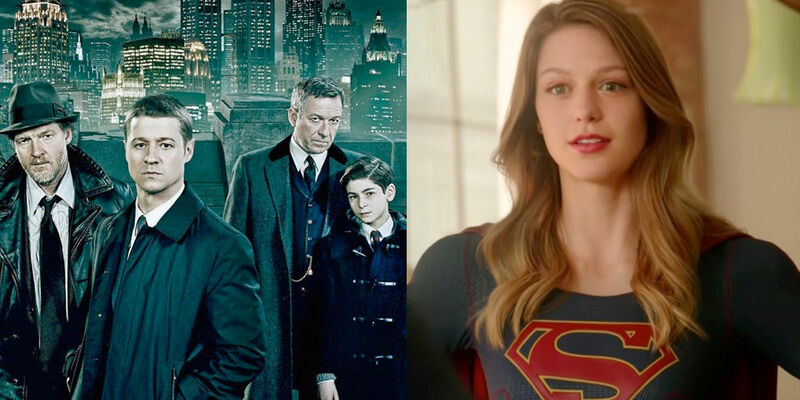 That aesthetic looks nothing like Supergirl, but that hasn’t stopped some fans from thinking Gotham could actually serve as a prequel for Supergirl. The basis for the theory involves Gotham using many of the same characters as Arrow, though played by different actors, so it must take place on a different world, just like Supergirl. Supergirl has also made references to the city and its protector, meaning Batman is operational when Kara Danvers becomes a superhero as well. While this might be one of the craziest theories out there, there likely won’t be anything to disprove it - even without a crossover. Early in the The Flash, the show revealed that Barry Allen invented Gideon, an artificial intelligence system that monitored time streams. Gideon provided information about the future, different timeline changes, and more. The fact that Barry invented the system hasn’t been touched upon since. Barry, despite a proclivity for physics and chemistry, hasn’t demonstrated the kind of intellect that would allow him that kind of invention... yet. If Barry is able to understand the physics behind time travel well enough to create a way of monitoring changes in time as a whole, it stands to reason that he also started the Time Masters. The Time Masters were the ones responsible for safeguarding against aberrations in the timeline on Legends of Tomorrow. Just one superhero can’t keep track of every aberration in the time stream even with their own artificial intelligence system. 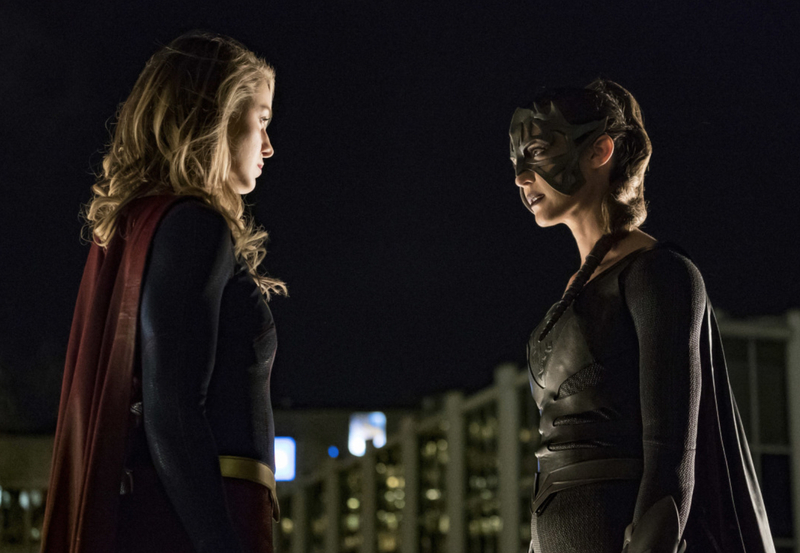 Arrow has its share of superheroines taking on the codename Canary and fans are eager to find more connections between them. Sara Lance, the first of the Arrowverse Canaries, went on to become the White Canary on Legends of Tomorrow after her death and resurrection. Her sister Laurel took up her cause as the Black Canary, but Laurel’s death meant Dinah Drake eventually took her place as well. Dinah was significant because Dinah Drake was actually the first Black Canary in DC comics. Fans have since speculated that, with the time travel prevalent in the Arrowverse, Dinah might still be the first Canary after all. The theory argues that Dinah will one day end up marooned in the past and she’ll actually start the line of Canaries in the Lance family - as their grandmother. Barry spent a lot of time messing up the timeline on The Flash through his efforts to improve his own life. 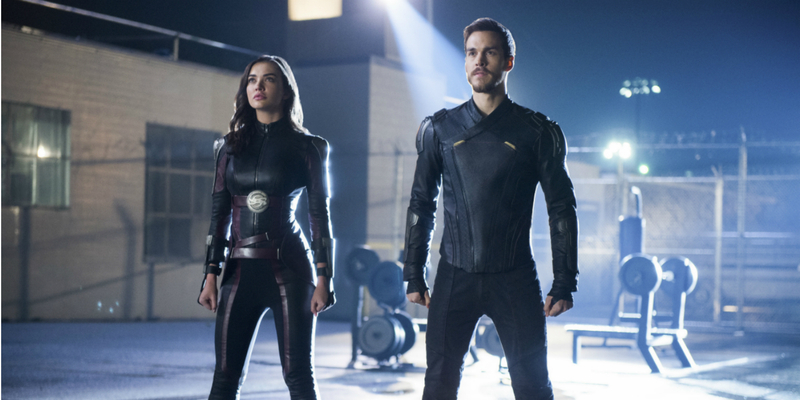 His changes to the timeline all occurred in the past, leading some fans to believe that he and Iris will eventually explore the other end of the timestream. 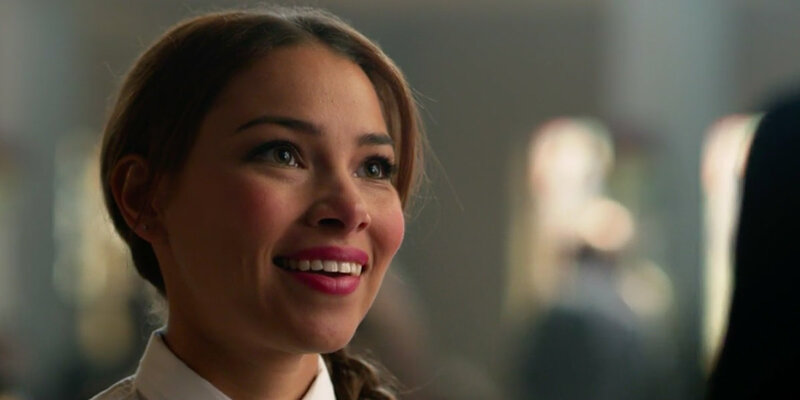 This speculation has been prompted by a mysterious women played by Jessica Parker Kennedy appearing on the show. Kennedy was a woman at Barry and Iris’ wedding who clearly recognized him, though they’d never met before. She’s since repeatedly popped up in teasing scenes. The running theory says that Kennedy is playing a child or grandchild of Barry and Iris from the future and that her being in the present is a result of something one of them hasn’t yet done. We’ll just have to wait and see. Felicity suffered a spinal injury that left her paralyzed on Arrow. A prototype for a microchip ended up helping her to walk again, but before that, fans speculated she was about to become Team Arrow’s Oracle. Oracle was the name taken on by Barbara Gordon after an encounter with the Joker (as Batgirl) left her paralyzed. Barbara used her own technical skills to run backend for other heroes, founding the Birds of Prey in the comics. The name even got a nod on Arrow, with the mention that it was already in use. Felicity didn’t exactly follow the storyline fans were expecting, but considering that her body is functioning thanks to a computer chip, some believe it might still happen. The writers could pull a fast one on the audience, disabling Felicity’s chip and putting her on a path to the show’s version of Oracle and out of the field. Despite dropping the Oracle hint and an appearance by the comic book heroine Huntress, Arrow hasn’t delved into the team that is the Birds of Prey. One episode even got its name from the team, but the show has yet to follow through on a fowl themed team. If Felicity were to become the full-fledged Arrowverse version of Oracle, fans reason that the Birds of Prey would soon follow. The series already has a new version of Black Canary, a mainstay on the Birds of Prey. The last time fans saw Huntress, another team mainstay, the character was sent to prison. Both of those characters, along with any upcoming new additions, could create a whole new team operating in the Arrowverse, especially if the newest version of Team Arrow continues to self destruct this season. The Arrowverse might be the most prevalent of DC Comic adaptations in pop culture right now, but Warner Brothers isn’t done bringing more series to life. A new streaming site is on the way which will feature plenty of new content. One of those is a live action Titans series. 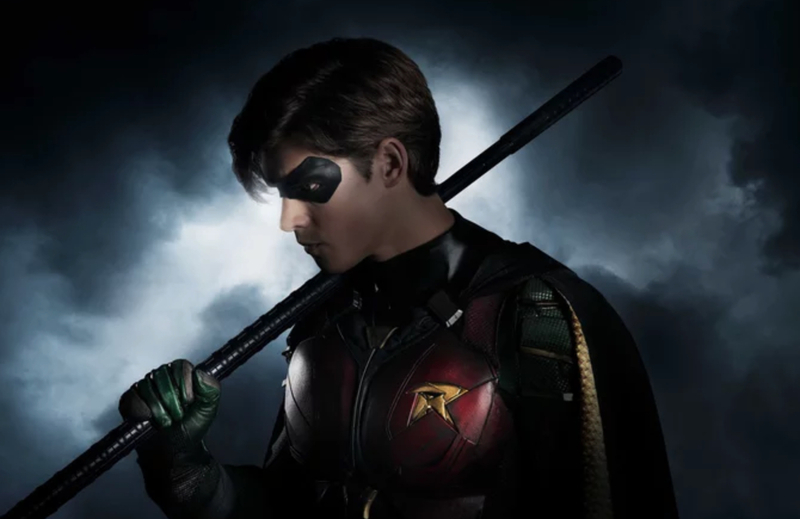 The series will have less of a focus on the “teen” aspect of the original comics, but will still feature a lineup of costumed heroes familiar to DC fans. With the series being a part of an exclusive streaming service, it would make sense for the show to stand alone, but it doesn’t have to. Thanks to The Flash, Supergirl, and Legends of Tomorrow exploring alternate timelines and alternate worlds, the multiverse has become a fun plot device for the universe. It makes it possible for the Arrowverse to get an introduction to the world of the Titans. When time travel is involved, storylines can be pretty tricky. The Flash found that out the hard way as Flashpoint changed everything and the characters struggled to make it right. Legends of Tomorrow, though, is a whole other story. The heroes that make up the Legends are supposed to stop “aberrations” in the timeline from changing the future. All of them have been plucked from their own times to travel to significant moments in history -- including their own -- and stop villains from changing things. Along the way though, they’ve inevitably changed sequences of events themselves. Because every adventure that the group goes on changes something, no matter how small, there’s no way they’re actually leaving history in tact. The group has created their own version of a Flashpoint universe without even realizing it since they’re protected by their time travel. We have to wonder just how many things are different now. 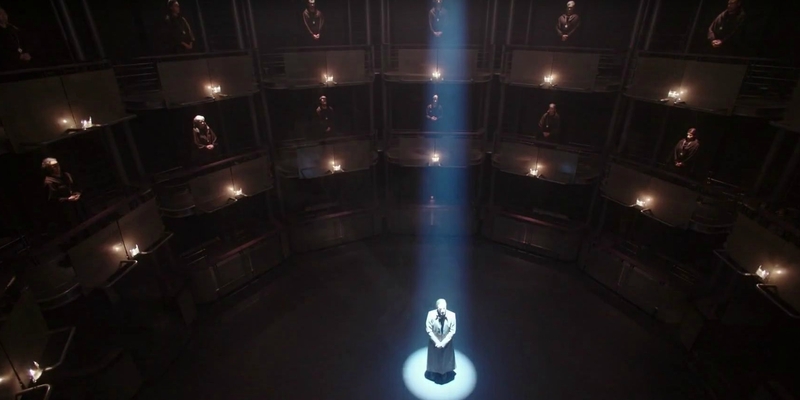 Supergirl’s third season introduced the idea of the Worldkiller. The Worldkillers were from Krypton, genetically engineered to have superior strength, stamina, and maintain both without the aid of the sun. Sent to Earth long before Krypton faced destruction, none of them know their true purpose until their abilities activated. Despite Supergirl knowing she’s a Kryptonian, fans have theorized that she might be a Worldkiller as well. Fans point out that although Kara’s mother gets plenty of attention on Supergirl, her father is rarely mentioned. He could be the Kryptonian scientist that designed Kara. The theory explains just what secrets the Legion of Superheroes is keeping from her. Perhaps their real mission is to stop Kara from becoming a Worldkiller. This is one theory the audience will likely find out the answer too soon. Supergirl returns with new episodes on April 16th. Laurel Lance dying as the Black Canary pushed Arrow in a brand new direction and actually worked out in the show’s favor. 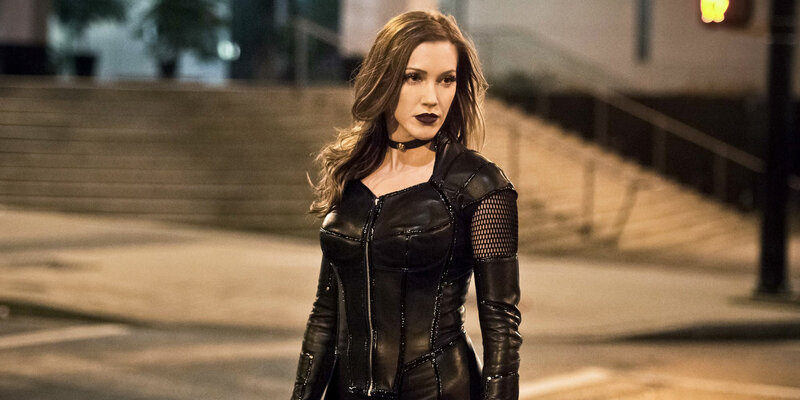 When the writers brought back Katie Cassidy as the villainous Black Siren from another Earth, fans were even more delighted. Recently, Quentin Lance wanted to redeem this version of Laurel. The former police detective didn’t have a lot of luck, but fans don’t think we can count Black Siren out yet. Not only does a group of fans believe Black Siren will sacrifice herself, they think she’ll do it for Laurel in the past. The idea is that, thanks to time travel, Black Siren could be placed in Laurel’s life in the past while that version of Laurel could be moved to the future. That way, the timeline wouldn’t be disrupted, a villain would be redeemed, and another Canary would return. When Mon-El emerged on Supergirl, he didn’t just meet the girl of steel. He also got an introduction to her cousin Superman, but Superman might have already known the Daxamite. During the first season of the series, a visit to the Fortress of Solitude revealed that there was a Legion ring already present. The Legion of Superheroes, founded by Mon-El, didn’t get an introduction until season three, after Mon-El and Superman met. The theory is that during at least one time travel adventure, a past version of Superman met a future version of Mon-El. Superman only pretended to meet him for the first time to keep the timeline intact. Fans can explain the ring away as nothing more than an Easter egg before the series became a CW show, but it definitely makes for a fun theory. Do you know of a crazy theory that you think still has a chance of coming true? Or are they all way off the mark? Let us know your favorite Arrowverse theories in the comments!